Michael Griffin is Professor of Human Factors, Head of the Human Factors Research Unit, in the Institute of Sound and Vibration Research. He is also Chairman of the Engineering and Physical Sciences Ethics Committee. Professor Griffin’s research is focussed on human responses to vibration. Michael Griffin obtained a PhD in the Institute of Sound and Vibration Research 1972. After a period as a Research Fellow, he was appointed as a Lecturer in the Institute of Sound and Vibration Research in 1977, a Senior Lecturer in 1984, and Professor of Human Factors in 1991. Professor Griffin provides lectures on 'Human Factors in Engineering' and 'Human Responses to Vibration' for graduate and postgraduate programmes at the University of Southampton. He is the author of more than 600 publications including 250 papers in peer-reviewed scientific journals, the author of the ‘Handbook of Human Vibration’, and the author of chapters in more than 20 other books. 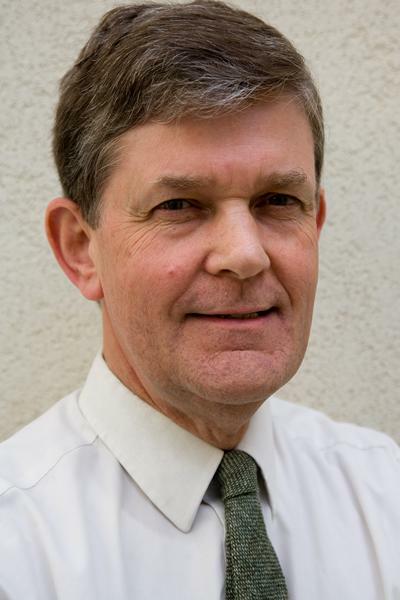 Professor Griffin is the Chairman of the British Standards Institution Sub-Committee on human responses to mechanical vibration and shock, a member of relevant ISO and CEN Committees, and a member of the International Advisory Committees of Conferences on Hand-arm Vibration and Whole-body Vibration. He is a member of the Ergonomics Society, the Human Factors and Ergonomics Society, and the Aerospace Medical Association. 1984 Bartlett Medal of the Ergonomics Society for contributions to research. 2007 RWB Stephens Medal of the Institute of Acoustics for outstanding contributions to acoustical research and education. 2011 Taylor Award for advancing the understanding and prevention of the effects of hand-arm vibration. Professor Griffin is interested in all aspects of human responses to vibration. The research of the Human Factors Research Unit has influenced British, European, and International Standards, and legislation. The findings are used by industry world-wide and in meters and computer programs used to evaluate vibration with respect to human responses. Whole-body vibration arises when the body is supported on a vibrating surface and occurs in all forms of transport and in buildings. Research has included the development of methods of predicting vibration perception, vibration discomfort, the effects of vibration on the performance of activities, physiological responses, injury to the body, biodynamic responses of the body, and the transmission of vibration through seating. The research produced the ‘vibration dose value’ (VDV), frequency weightings implemented in standards and modern human vibration meters (Wb, Wc, Wd, We, and Wf ), and the ‘SEAT value’ used to assess the vibration isolation efficiency of seating. Hand-transmitted vibration occurs when holding or pushing on vibratory tools or machines. Research has included the development of methods of categorising and quantifying the disorders caused by hand-transmitted vibration, epidemiological studies, the development of diagnostic tests for the hand-arm vibration syndrome (vibrotactile thresholds, thermotactile thresholds, and finger systolic blood pressures) and the development and production of diagnostic test instruments (HVLab vibrotactile perception meter, HVLab thermotactile perception meter, and HVLab multi-channel plethysmograph), understanding the physiological responses to hand-transmitted vibration (e.g., vasoconstriction), measuring and modelling the biodynamic responses of the fingers and hands, and understanding the transmission of vibration through gloves. Low frequency motion causes motion sickness and postural instability. Research has included the development of the ‘motion sickness dose value’ (MSDV) and frequency weightings for predicting motion sickness. Field studies of the factors associated with motion sickness in transport (e.g., ships, aircraft, coaches, cars, oil rigs) and laboratory studies using motion simulators to explore the causes of sickness. The motions causing instability when standing and walking have also been studied. Details on impact research can be found here. Griffin, M. J. (2012). Frequency-dependence of psychophysical and physiological responses to hand-transmitted vibration. Industrial Health, 50(5), 354-369. Ye, Y., & Griffin, M. J. (2011). Reductions in finger blood flow induced by low magnitude hand-transmitted vibration. Canadian Acoustics, 39(2), 56-57. Seah, S. A., & Griffin, M. J. (2011). Thermotactile thresholds before, during and after exposure to hand-transmitted vibration. Canadian Acoustics, 39(2), 58-59. Toward, M. G. R., & Griffin, M. J. (2010). A variable parameter single degree-of-freedom model for predicting the effects of sitting posture and vibration magnitude on the vertical apparent mass of the human body. Industrial Health, 48(5), 654-662. Palmer, K. T., Harris, E. C., Griffin, M. J., Bennett, J., Reading, I., Sampson, M., & Coggon, D. (2009). Case-control study of low-back pain referred for magnetic resonance imaging, with special focus on whole-body vibration (Scandinavian Journal of Work, Environment & Health (2008) 34, 5 (364-373)). Scandinavian Journal of Work, Environment & Health, 35(1), 80. Palmer, K. T., Harris, E. C., Griffin, M. J., Bennett, J., Reading, I., Sampson, M., & Coggon, D. (2008). Case-control study of low-back pain referred for magnetic resonance imaging, with special focus on whole-body vibration. Scandinavian Journal of Work, Environment & Health, 34(5), 364-373. Bovenzi, M., Welsh, A. J. L., & Griffin, M. J. (2007). Effect of prior exposure to hand-transmitted vibration on cold response of digital arteries. International Archives of Occupational and Environmental Health, 80(4), 281-289. Jones, C., Griffin, M., & Preston, J. (2007). Making travel more attractive for passengers and for the environment. Railway Strategies, (December-Januar), 208-212. Griffin, M. J. (2007). Predicting the feeling of vibration in buildings. Proceedings of the Institute of Acoustics, 29(2), 15pp. Griffin, M. J., Welsh, A. J. L., & Bovenzi, M. (2006). Acute response of finger circulation to force and vibration applied to the palm of the hand. Scandinavian Journal of Work, Environment & Health, 32(5), 383-391. Butler, C. A., & Griffin, M. J. (2006). Motion sickness during fore-and-aft oscillation: effect of the visual scene. Aviation, Space and Environmental Medicine, 77(12), 1236-43. Donohew, B. E., & Griffin, M. J. (2004). Motion sickness: effect of the frequency of lateral oscillation. Aviation, Space and Environmental Medicine, 75(8), 649-656. Griffin, M. J., & Newman, M. N. (2004). Visual field effects on motion sickness in cars. Aviation, Space and Environmental Medicine, 75(9), 739-748. Howarth, H. V. C., & Griffin, M. J. (2003). Effect of roll oscillation frequency on motion sickness. Aviation, Space and Environmental Medicine, 74(4), 326-331. Webb, N. A., & Griffin, M. J. (2003). Eye movement, vection and motion sickness with foveal and peripheral vision. Aviation, Space and Environmental Medicine, 74(6), 622-625. Lindsell, C. J., & Griffin, M. J. (2003). Normative vibrotactile thresholds measured at five European test centres. International Archives of Occupational and Environmental Health, 76(7), 517-528. Griffin, M. J., & Mills, K. L. (2002). Effect of frequency and direction of horizontal oscillation on motion sickness. Aviation, Space and Environmental Medicine, 73(6), 537-543. Griffin, M. J., & Mills, K. L. (2002). Effect of magnitude and direction of horizontal oscillation on motion sickness. Aviation, Space and Environmental Medicine, 73(7), 640-646. Webb, N. A., & Griffin, M. J. (2002). Optokinetic stimuli: motion sickness, visual acuity and eye movements. Aviation, Space and Environmental Medicine, 73(4), 351-358. Haward, B. M., & Griffin, M. J. (2002). Repeatability of grip strength and dexterity tests and the effects of age and gender. International Archives of Occupational and Environmental Health, 75(1/2), 111-119. Griffin, M. J., & Bovenzi, M. (2002). The diagnosis of disorders caused by hand-transmitted vibration: Southampton Workshop 2000. International Archives of Occupational and Environmental Health, 75(1-2), 1-5. Lindsell, C., & Griffin, M. J. (2001). Interpretation of the finger skin temperature response to cold provocation. International Archives of Occupational and Environmental Health, 74(5), 325-335. Palmer, K. T., Walker-Bone, K., Griffin, M. J., Syddall, H., Pannett, B., Coggon, D., & Cooper, C. (2001). Prevalence and occupational associations of neck pain in the British population. Scandinavian Journal of Work, Environment & Health, 27(1), 49-56. Griffin, M. J. (1998). Evaluating the effectiveness of gloves in reducing the hazards of hand- transmitted vibration. Occupational & Environmental Medicine, 55(5), 340-348. Kitazaki, S., & Griffin, M. J. (1997). A modal analysis of whole-body vertical vibration, using a finite element model of the human body. Journal of Sound and Vibration, 200(1), 83-103. Woodman, P. D., & Griffin, M. J. (1997). Effect of direction of head movement on motion sickness caused by Coriolis stimulation. Aviation Space and Environmental Medicine, 68(2), 93-98. Griffin, M. J., & Brett, M. W. (1997). Effects of fore-and-aft, lateral and vertical whole-body vibration on a head-positioning task. Aviation Space and Environmental Medicine, 68(12), 1115-1122. Bovenzi, M., & Griffin, M. J. (1997). Haemodynamic changes in ipsilateral and contralateral fingers caused by acute exposures to hand transmitted vibration. Occupational & Environmental Medicine, 54(8), 566-576. Mann, N. A. J., & Griffin, M. J. (1996). Effect of contact conditions on the mechanic impedance of the finger. Central European Journal of Public Health, 4(1), 46-49. Bovenzi, M., Griffin, M. J., & Ruffell, C. M. (1995). Acute effects of vibration on digital circulatory function in healthy men. Occupational & Environmental Medicine, 52(12), 834-841. Ruffell, C. M., & Griffin, M. J. (1995). Effect of starting temperature on the repeatability of thermotactile thresholds. Central European Journal of Public Health, 3(SUPPL. ), 81-84. So, R. H. Y., & Griffin, M. J. (1995). Effects of lags on human operator transfer functions with head-coupled systems. Aviation Space and Environmental Medicine, 66(6), 550-556. Lindsell, C. J., & Griffin, M. J. (1995). Finger systolic blood pressures: Effects of cold provocation on the reference finger. Central European Journal of Public Health, 3(SUPPL. ), 45-48. Turner, M., & Griffin, M. J. (1995). Motion sickness incidence during a round-the-world yacht race. Aviation, Space and Environmental Medicine, 66(9), 849-856. Maeda, S., & Griffin, M. J. (1995). The growth and recovery of vibrotactile TTS caused by hand-transmitted repetitive shocks of various waveforms. Central European Journal of Public Health, 3(SUPPL. ), 57-61. Bovenzi, M., Griffin, M. J., & Ruffell, C. M. (1995). Vascular responses to acute vibration in the fingers of normal subjects. Central European Journal of Public Health, 3(SUPPL. ), 15-18. Maeda, S., & Griffin, M. J. (1993). Temporary threshold shifts in fingertip vibratory sensation from hand-transmitted vibration and repetitive shock. British Journal of Industrial Medicine, 50(4), 360-367. Sherwood, N., & Griffin, M. J. (1990). Effects of whole-body vibration on short-term memory. Aviation Space and Environmental Medicine, 61(12), 1092-1097. Mcleod, R. W., & Griffin, M. J. (1990). Effects of whole-body vibration waveform and display collimation on the performance of a complex manual control task. Aviation Space and Environmental Medicine, 61(3), 211-219. Lawther, A., & Griffin, M. J. (1988). A survey of the occurrence of motion sickness amongst passengers at sea. Aviation, Space and Environmental Medicine, 59(5), 399-406. Wells, M. J., & Griffin, M. J. (1987). Flight trial of a helmet-mounted display image stabilisation system. Aviation Space and Environmental Medicine, 58(4), 319-322. Wells, M. J., & Griffin, M. J. (1984). Benefits of helmet-mounted display image stabilisation under whole-body vibration. Aviation Space and Environmental Medicine, 55(1), 13-18. Moseley, M. J., Lewis, C. H., & Griffin, M. J. (1982). Sinusoidal and random whole-body vibration: comparative effects on visual performance. Aviation Space and Environmental Medicine, 53(10), 1000-1005. Whitham, E. M., & Griffin, M. J. (1977). Measuring vibration on soft seats. SAE Prepr, (770253). Griffin, M. J. (1975). Levels of whole body vibration affecting human vision. Aviation Space and Environmental Medicine, 46(8), 1033-1040. Griffin, M. J. (1975). Vertical vibration of seated subjects: effects of posture, vibration level, and frequency. Aviation Space and Environmental Medicine, 46(3), 269-276. Griffin, M. J., Howarth, H. V. C., Pitts, P. M., Fischer, S., Kaulbars, U., Donati, P. M., ... Advisory Committee on Safety and Health at Work (2006). Guide to good practice on whole-body vibration: non-binding guide to good practice for implementing Directive 2002/44/EC on the minimum health and safety requirements regarding the exposure of workers to the risks arising from physical agents (vibrations). (EU Good Practice Guide WBV). Brussels, Belgium: European Commission. Toward, M. G. R., Gunston, T. P., Griffin, M. J., & Health & Safety Executive (2005). Evaluation of whole-body vibration exposures in British industry. (Research Report; Vol. 377). Southampton, UK: Health and Safety Executive. Palmer, K. T., Coggon, D., Syddall, H. E., Pannett, B., & Griffin, M. J. (2001). Occupational exposure to noise and hearing difficulties in Great Britain. (Contract Research Report; No. 361). Suffolk, England: Health & Safety Executive Books. Paddan, G. S., Griffin, M. J., & Health & Safety Executive (2001). Use of seating to control exposures to whole-body vibration. London, UK: Health and Safety Executive. Griffin, M. J. (2006). Vibration and motion. In G. Salvendy (Ed. ), Handbook of Human Factors and Ergonomics, 3rd Edition (pp. 590-611). New York, USA: John Wiley. Arnold, J. J., & Griffin, M. (2018). Predicting the discomfort caused by tri-axial whole-body vibration. Paper presented at 53rd UK Human Responses to Vibration conference 2018, Ascot, United Kingdom. Arnold, J. J., & Griffin, M. J. (2017). Discomfort caused by multiple frequency fore-and-aft, lateral or vertical whole-body vibration. Paper presented at 52nd UK Conference on Human Response to Vibration, Faringdon, United Kingdom. Arnold, J. J., Morioka, M., & Griffin, M. (2016). Rate of growth of vibration discomfort with increasing magnitude of fore-and-aft, lateral, and vertical whole-body vibration in the frequency range 1 to 10 Hz. Paper presented at 51 UK Conference Human on Responses to Vibration, Gosport, United Kingdom. Yang, M., Qiu, Y., & Griffin, M. (2015). Effect of backrest inclination on apparent mass at seat and the backrest during vertical whole-body vibration. Paper presented at 50th United Kingdom Conference on Human Responses to Vibration, Southampton, United Kingdom. Arnold, J., Morioka, M., & Griffin, M. (2015). Effect of backrest on the discomfort caused by pitch oscillation in the frequency range 0.5 to 5 Hz. Paper presented at 50th United Kingdom Conference on Human Responses to Vibration, Southampton, United Kingdom. Patelli, G., Morioka, M., & Griffin, M. (2015). Effect of bending the legs on the discomfort caused by vertical vibration when standing. Paper presented at 50th United Kingdom Conference on Human Responses to Vibration, Southampton, United Kingdom. Ye, Y., & Griffin, M. (2015). Finger systolic blood pressures after cold provocation in healthy males and females: effect of room temperature. Paper presented at 50th United Kingdom Conference on Human Responses to Vibration, Southampton, United Kingdom. Liu, C., Qiu, Y., & Griffin, M. (2015). Role of thighs in the biodynamic response of the human body sitting on a rigid seat exposed to vertical vibration. Paper presented at 50th United Kingdom Conference on Human Responses to Vibration, Southampton, United Kingdom. Huang, Y., & Griffin, M. J. (2014). A model predicting discomfort caused by combined noise and vibration. In 21st International Congress on Sound and Vibration 2014, ICSV 2014 (Vol. 2, pp. 1700-1707). International Institute of Acoustics and Vibrations. Lee, P. J., Lee, B. K., & Griffin, M. J. (2013). Evaluation of floor vibrations induced by walking in reinforced concrete buildings. Paper presented at Internoise 2013, Austria. Harris, E. C., Palmer, K. T., Griffin, M. J., Ntani, G., Shambrook, J., McNee, P., ... Coggon, D. (2012). Professional driving and prolapsed lumbar intervertebral disc diagnosed by magnetic resonance imaging - a case-control study. 6th UK & Ireland Occupational & Environmental Epidemiology Meeting, United Kingdom. Basri, B., & Griffin, M. J. (2011). Equivalent comfort contours for whole-body vertical vibration: effect of backrest inclination. Paper presented at 46th UK Conference on Human Response to Vibration, United Kingdom. Ye, Y., & Griffin, M. (2010). Acute changes in finger blood flow induced by 16-Hz vibration applied to the thenar eminence. 25-33. Paper presented at 45th United Kingdom Conference on Human Responses to Vibration, . Griffin, M. J. (2010). Can frequency weightings and duration weightings predict human responses to vibration and shock? In Humanschwingungen 2010 (pp. 3-22). (Human Vibration; No. 2097). VDI. Basri, B., & Griffin, M. J. (2010). Discomfort caused by x-axis vibration of the back: effect of backrest inclination. Paper presented at 45th UK Conference on Human Response to Vibration, United Kingdom. Qiu, Y., & Griffin, M. J. (2009). Biodynamic responses of the seated human body to single-axis and dual-axis vibration. 31-32. Paper presented at 4th International Conference on Whole Body Vibration Injuries, . Griffin, M. J. (2009). Causes of motion sickness. In P. D. Bust (Ed. ), Contemporary Ergonomics 1984-2008: Selected Papers and an Overview of the Ergonomics Society Annual Conference (pp. 251-264). CRC Press. Ye, Y., & Griffin, M. J. (2009). Changes in finger blood flow induced by low magnitude localised vibration of the thenar eminence of the hand. 131-138. Paper presented at 44th UK Conference on Human Responses to Vibration, . Huang, Y., Griffin, M. J., & Morioka, M. (2009). Driver and passenger perception of motion and sound during gear changes: effect of delays on responsiveness and comfort. Paper presented at 44th UK Conference on Human Responses to Vibration, . Gu, C., & Griffin, M. J. (2009). Effect of contact area on thresholds for the perception of 160 Hz vibration at the big toe. 161-166. Paper presented at 44th UK Conference on Human Responses to Vibration, . Morioka, M., & Griffin, M. J. (2009). Frequency weightings for fore-and-aft vibration at the back: effect of contact area, contact location, and body posture. 117-118. Paper presented at 4th International Conference on Whole Body Vibration Injuries, . Thuong, O., & Griffin, M. J. (2009). Frequency-dependence and magnitude-dependence of the vibration discomfort of standing persons exposed to lateral vibration. 119-130. Paper presented at 44th UK Conference on Human Responses to Vibration, . Howarth, H. V. C., & Griffin, M. J. (2009). Human exposure to low frequency horizontal motion in buildings and offshore structures: an assessment of guidance in BS 6611 and ISO 6897. Paper presented at Euronoise 2009, . Gallais, L., & Griffin, M. J. (2009). Low back pain and risk factors for low back pain in taxi drivers. 5-6. Paper presented at 4th International Conference on Whole Body Vibration Injuries, . Griffin, M. J. (2009). Measurement, evaluation and assessment of human exposures to vibration and their effects on health. 11-28. 2nd International Conference on Human Vibration Exposure, measurement and tests, . Toward, M. G. R., & Griffin, M. J. (2009). Modelling the vertical apparent mass of the human body in driving postures. Paper presented at 4th International Conference on Whole Body Vibration Injuries, . Zheng, G., Qiu, Y., & Griffin, M. J. (2009). Planar multi-body modelling of the in-axis and cross-axis apparent mass of the seated human body with vertical whole-body vibration. 13-30. Paper presented at 44th UK Conference on Human Responses to Vibration, . Sari, M. H., Griffin, M. J., Chiari, L. (Ed. ), & Nardone, A. (Ed.) (2009). Postural stability of walking subjects in response to lateral perturbations. Poster session presented at International Society For Posture and Gait Research (ispgr), . Basri, B., & Griffin, M. J. (2009). Thresholds for the perception of vibration of the back: effect of backrest inclination. 65-76. Paper presented at 44th UK Conference on Human Responses to Vibration, . Morioka, M., & Griffin, M. J. (2008). Dependence of equivalent comfort contours for vertical vibration of the foot on vibration magnitude. Paper presented at 2nd American Conference on Human Vibration, . Howarth, H. V. C., & Griffin, M. J. (2008). Development of a social survey questionnaire of reactions to vibration by seated persons. 4317-4321. Paper presented at 2nd ASA-EAA Joint Conference, Acoustics '08, . Howarth, H. V. C., & Griffin, M. J. (2008). Development of a social survey questionnaire of reactions to vibration in residential buildings. 4317-4321. Acoustics'08, France. Ye, Y., Griffin, M. J., Amirouche, F. (Ed. ), Mayton, G. (Ed. ), & Tuchman, R. J. (Ed.) (2008). Individual variability in changes in finger blood flow induced by hand-transmitted vibration. 102-103. Second American Conference on Human Vibration, . Morioka, M., & Griffin, M. J. (2008). Thresholds for the perception of fore-and-aft, lateral and vertical vibration by seated persons. 4323-4327. Paper presented at Acoustics'08, France. Seah, S. A., & Griffin, M. J. (2007). Effect of contact area and contact location on thermotactile thresholds at the fingertip. 277-286. Paper presented at 11th International Conference on Hand-Arm Vibration, . Gu, C., & Griffin, M. J. (2007). Effect of frequency and contact location on vibrotactile perception thresholds at the foot. 271-276. Paper presented at 11th International Conference on Hand-Arm Vibration, . Forta, N. G., Morioka, M., & Griffin, M. J. (2007). Effect of the magnitude of 16 Hz and 125 Hz hand-transmitted vibration on difference thresholds. Paper presented at Inter-noise 2007 Istanbul. The 36th International Congress and Exhibition Noise Control Engineering, . Morioka, M., & Griffin, M. J. (2007). Equivalent comfort contours for vertical hand-transmitted vibration: does exposure to two hands double the discomfort? In Proceedings of 11th International Conference on Hand-Arm Vibration (pp. 425-432). Italy: Acoustical Society of Italy. Griffin, M. J. (2007). Hand-transmitted vibration: past, present and future. Paper presented at 11th International Hand-Arm Vibration Conference, . Griffin, M. J. (2006). Health effects of vibration - the known and the unknown. In Proceedings of the First American Conference on Human Vibration (pp. 3-4). Cincinnati, USA: National Institute for Occupational Safety and Health (NIOSH). Morioka, M., & Griffin, M. J. (2006). Perception thresholds for lateral vibration at the hand, seat and foot. In Proceedings of the First American Conference on Human Vibration (pp. 33-34). Cincinnati, USA: National Institute for Occupational Safety and Health (NIOSH). Griffin, M. (2006). Quantifying the consequences of negligent exposures to hand-transmitted vibrations. Paper presented at 2nd International Workshop on the Diagnosis of Injuries Caused by Hand-Transmitted Vibration, . Griffin, M. (2006). The quantification of sensorineural symptoms caused by hand-transmitted vibration. Paper presented at 2nd International Workshop on Diagnosis of Injuries Caused by Hand-Transmitted Vibration, . O'Boyle, M. J., & Griffin, M. J. (2006). Transmissibility and dynamic stiffness of glove material and the apparent mass of the hand. In D. Reynolds (Ed. ), Proceedings of the 10th International Conference on Hand-Arm Vibration (pp. 417-427). Nevada, USA: Center for Mechanical & Environmental Systems Technology (CMEST), University of Nevada. Morioka, M., & Griffin, M. J. (2005). Magnitude-dependence of equivalent comfort contours for whole-body vibration. Paper presented at 3rd International Conference on Whole-Body Vibration Injuries, . Lewis, C. H., & Griffin, M. J. (2005). The use of passive and active anthropodynamic dummies for measuring the vibration isolation provided by vehicle seats. Paper presented at 3rd International Conference on Whole-Body Vibration Injuries, . Whitehouse, D. J., Lundstrom, R., & Griffin, M. J. (2004). Comparison of vibrotactile and thermal thresholds with two different measurement systems. Paper presented at 9th International Conference on Hand-Arm Vibration, . Morioka, M., & Griffin, M. J. (2004). Effect of vibration frequency and contact area on sensation magnitudes for hand-transmitted vibration. Paper presented at 9th International Conference on Hand-Arm Vibration, . Welsh, A. J. L., & Griffin, M. J. (2004). Effect of vibration magnitude and push force on finger blood flow. Paper presented at 10th International Conference on Hand-Arm Vibration, . O'Boyle, M. J., & Griffin, M. J. (2004). Inter-subject variability in the measurement of the vibration transmissibility of gloves according to current standards. Paper presented at 9th International Conference on Hand-Arm Vibration, . Morioka, M., & Griffin, M. J. (2004). Magnitude dependence of equivalent comfort contours for vertical hand-transmitted vibration. Paper presented at 10th International Conference on Hand-Arm Vibration, . Paddan, G. S., & Griffin, M. J. (2004). Measurements of glove and hand dynamics using knuckle vibration. Paper presented at 9th International Conference on Hand-Arm Vibration, . Welsh, A. J. L., & Griffin, M. J. (2004). Multi-channel and single-channel venous occlusion plethysmography for finger blood flow measurement. Paper presented at 9th International Conference on Hand-Arm Vibration, . Pinto, I., Stacchini, N., Bovenzi, M., Paddan, G. S., & Griffin, M. J. (2004). Protection effectiveness of anti-vibration gloves: field evaluation and laboratory performance assessment. Paper presented at 9th International Conference on Hand-Arm Vibration, . Griffin, M. J., Lewis, C. H., Bovenzi, M., Lemerle, P., & Lundström, R. (2004). Risks of occupational exposures to hand-transmitted vibration: VIBRISKS. 10th International Conference on Hand-Arm Vibration, . Griffin, M. J., Lewis, C. H., Bovenzi, M., Lemerle, P., & Lundström, R. (2004). Risks of occupational expsoures to hand-transmitted vibration: VIBRISKS. In Proceedings of the 10th International Conference on Hand-Arm Vibration (pp. 17-18). Las Vegas, USA: Center for Mechanical & Environmental Systems Technology (CMEST). O'Boyle, M. J., & Griffin, M. J. (2004). Transmissibilty and dynamic stiffness of glove materials and the appparent mass of the hand. 2 pages. Paper presented at 10th International Conference on Hand-Arm Vibration, . Palmer, K. T., Griffin, M. J., Syddall, H., Pannett, B., & Coggon, D. (2004). Vibration-induced white finger and difficulties hearing. Paper presented at 9th International Conference on Hand-Arm Vibration, . Griffin, M. J. (2003). Perception of vibration in transport. In Proceedings of the 5th European Conference on Noise Control European Acoustics Association. Griffin, M. J., Bovenzi, M., & Nelson, C. M. (2001). A consideration of dose-response relationships for vibration-induced white finger. 284-286. Paper presented at X2001- Conference on Exposure Assessment in Epidemiology and Practice, . Welsh, L. J. L., & Griffin, M. J. (2001). Comparison of alternative equipment for measuring finger blood flow. 2pp. Paper presented at 9th International Conference on Hand-Arm-Vibration, . Paddan, G. S., & Griffin, M. J. (2001). Measurement of glove and hand dynamics using knuckle vibration. Paper presented at 9th International Conference on Hand-Arm Vibration, . Palmer, K. T., Griffin, M. J., Syddall, H. E., Pannett, B., & Coggon, D. (2001). Occupational exposure to noise and the attributable burden of hearing difficulties in Great Britain. Paper presented at EPIOCH 2001: Fifteenth Symposium in Epidemiology in Occupational Health Work and Health the Role of Epidemiology, . Palmer, K. T., Griffin, M. J., Syddall, H. E., Pannett, B., & Coggon, D. (2001). Raynaud's phenomenon, vibration-induced white finger, and difficulties in hearing. Paper presented at EPIOCH 2001: Fifteenth Symposium in Epidemiology in Occupational Health Work and Health the Role of Epidemiology, . Quetin, F., Clement, P., Griffin, M. J., & Lobb, B. L. (2001). Studies about motion sickness, effect of combine lateral and roll oscillations. Paper presented at World Congress on Railway Research, . Fairley, T. E., & Griffin, M. J. (1986). Test method for the prediction of seat transmissibility. In Passenger Comfort, Convenience and Safety: Test Tools and Procedures (pp. 1-9). SAE International. Griffin, M. J., & Stanworth, C. G. (1985). Generation and perception of vibration from rail traffic. In Track Technology: Conference of the Institute of Civil Engineers (pp. 215-223). Thomas Telford. Fairley, T. E., & Griffin, M. J. (1984). Modelling a seat-person system in the vertical and fore-and-aft axes. In I Mech E Conference Publications (Institution of Mechanical Engineers) (pp. 83-89). Institute of Mechanical Engineers. Fairley, T. E., & Griffin, M. J. (1983). Application of mechanical impedance methods to seat transmissibility. In Proceedings - International Conference on Noise Control Engineering (Vol. 1, pp. 533-536). Institute of Acoustics. Griffin, M. J. (1983). Effects of vibration on humans. In Proceedings - International Conference on Noise Control Engineering (Vol. 1, pp. 1-14). Institute of Acoustics. Hiramatsu, K., & Griffin, M. J. (1983). Method for predicting the average stimulus intensity for non-steady vibration based on the summation of subjective magnitude. In Proceedings - International Conference on Noise Control Engineering (Vol. 2, pp. 917-920). Institute of Acoustics. Corbridge, C., Griffin, M. J., & Levis, J. A. (1980). Laboratory study of truck ride: Validation of subjective judgements obtained in the field. In hum (pp. 96-104). Academic Press. Lawther, A., & Griffin, M. J. (1980). Measurement of ship motion. In Human Factors inTransport Research: Vol 2 User Factors : Comfort, The environment and behaviour (pp. 131-139). Academic Press. Parsons, K. C., & Griffin, M. J. (1980). Predicting the vibration discomfort of seated passangers. In Human Factor in Transport Research (Vol. 2, pp. 114-122). UK: Academic Press. Griffin, M. (1973). Whole-body vibration levels affecting visual acuity. In Proceedings of United Kingdom Group Meeting on 'Human reaction to vibration', University of Salford, September 17-19: Proceedings of United Kingdom Group Meeting on 'Human reaction to vibration', University of Salford, September 17-19 University of Salford. Challenor, V. F., Waller, D. G., Hayward, R. A., Griffin, M. J., & Roath, O. S. (1989). Clinical and physiological assessment of angiotensin-converting enzyme inhibition in primary Raynaud's phenomenon. British Journal of Clinical Pharmacology, 28(6). Lo, M., & Griffin, M. J. (2009). Effect of fore-and-aft, lateral and vertical whole-body vibration on typing. (ISVR Technical Report; No. 327). Southampton, GB: University of Southampton. Howarth, H. V. C., & Griffin, M. J. (2008). A social survey questionnaire of human responses to vibration in residential buildings. (ISVR Technical Report; No. 323). Southampton, UK: University of Southampton. Griffin, M. J., Howarth, H. V. C., Pitts, P. M., Fischer, S., Kaulbars, U., Donati, P. M., ... Working Party “Vibration”; Advisory Committee on Safety and Health at Work (2006). Guide to good practice on hand-arm vibration. Non-binding guide to good practice with a view to implementation of Directive 2002/44/EC on the minimum health and safety requirements regarding the exposure of workers to the risks arising from physical agents (vibrations). (EU Good Practice Guide HAV; No. V7.7). Luxembourg: European Commission. Griffin, M. J., Howarth, H. V. C., Pitts, P. M., Fischer, S., Kaulbars, U., Donati, P. M., & Bereton, P. F. (2006). Guide to good practice on whole-body vibration. Non-binding guide to good practice with a view to implementation of Directive 2002/44/EC on the minimum health and safety requirements regarding the exposure of workers to the risks arising from physical agents (vibrations). (EU Good Practice Guide WBV; No. V6.7g). Luxembourg: European Commission. Wei, L., Lewis, C. H., & Griffin, M. J. (2000). Evaluating the dynamic performance of seats without using human subjects. (ISVR Technical Report; No. 286). Southampton, UK: University of Southampton, Institute of Sound and Vibration Research. Griffin, M. (1973). A survey of human response to vibration research in Great Britain. (ISVR Technical Report; No. 60). University of Southampton. Griffin, M. (1972). The transmission of triaxial vibration to pilots in the Scout AH Mk I helicopter. (ISVR Technical Report; No. 58). University of Southampton. O'Hanlon, JG., & Griffin, M. J. (1971). Some effects of the vibration of reading material upon visual performance. University of Southampton, Institute of Sound and Vibration Research. Griffin, M. J. (1998). Predicting the hazards of whole-body vibration - Considerations of a standard. Industrial Health, 36(2), 83-91. Griffin, M. J. (1997). Measurement, evaluation, and assessment of occupational exposures to hand-transmitted vibration. Occupational & Environmental Medicine, 54(2), 73-89. Griffin, M. J. (1994). Foundations of hand-transmitted vibration standards. Nagoya journal of medical science, 57 Suppl, 147-164.